The Fearless Performance Workshop is an informal gathering of amateur and semi-professional musicians/artists who seek to improve their art through performance and discussion. 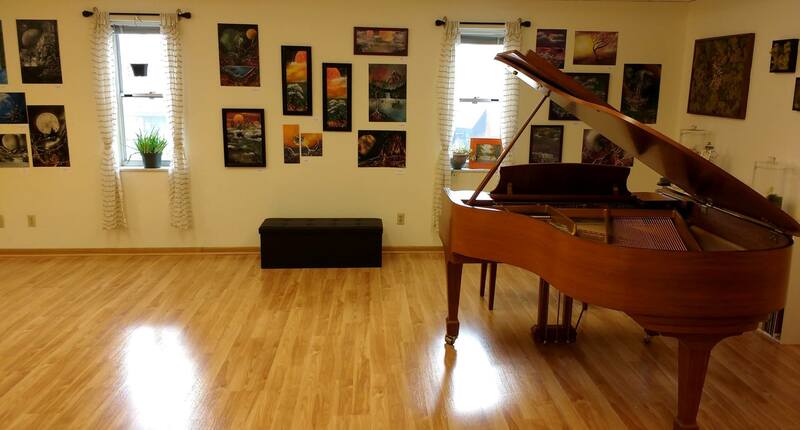 We meet at Whitney and Ventola Music Studios to perform for each other in a supportive environment. In a typical meeting structure, the first half hour is a meet-and-greet, followed by performances lasting 30-60 minutes (depending on how many people are in attendance) followed by a discussion/feedback. The house provides, water, a snack, and a tasty beverage (sometimes wine). Participants are welcome to bring snacks/drinks to share as well. It is a rule of the workshop is that everybody performs – even if it’s just your best a cappella version of “Happy Birthday” – everybody performs. Performances are kept at roughly 5 minutes or less – with some flexibility if a member wants to workshop a longer work. Presently, the workshop is primarily attended by musicians, but we welcome any individuals 18 and over who rely on live performance for expression (i.e. poets, actors, performance artists, etc.). If you have questions about the workshop, please email Annalisa Ventola at aventola@whitneyandventola.com for more information.